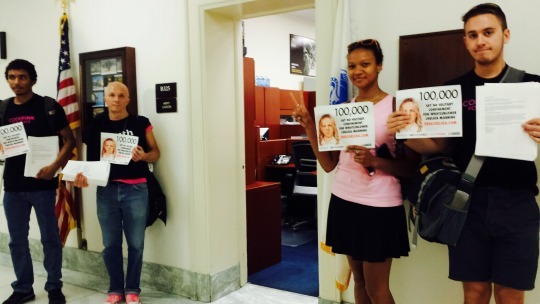 WASHINGTON, DC––This morning, advocacy groups supporting imprisoned WikiLeaks whistleblower Chelsea Manning delivered a petition signed by more than 100,000 people to the Army Liason office in Congress. The petition at FreeChelsea.com was initiated by digital rights group Fight for the Future and supported by RootsAction.org, Demand Progress, and CodePink. 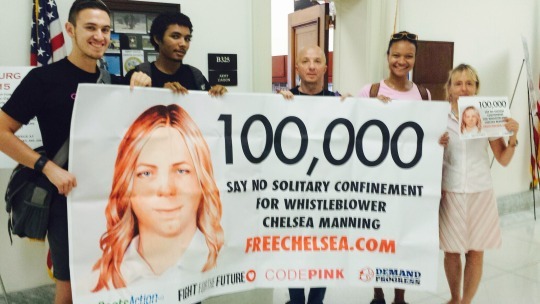 It calls for the U.S. military to drop the new charges against Chelsea, and demands that her disciplinary hearing at 1:30pm CT today be open to the press and the public. Chelsea faces possible indefinite solitary confinement, which is widely recognized as a form of torture, for four “charges,” which include possession of LGBTQ reading material like the Caitlyn Jenner issue of Vanity Fair, and having a tube of expired toothpaste in her cell. 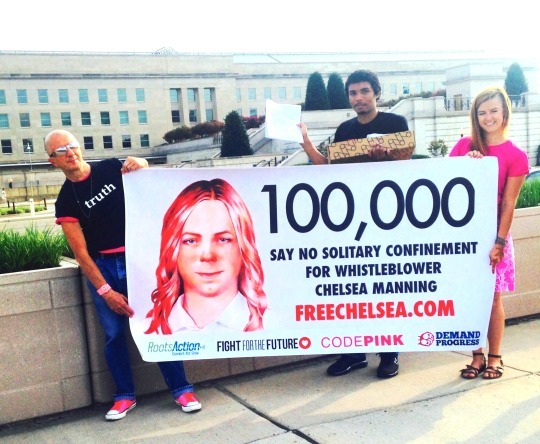 The charges were first revealed at FreeChelsea.com, and Manning has since posted the original charging documents to her twitter account here and here. She has also posted the complete list of confiscated reading materials here. 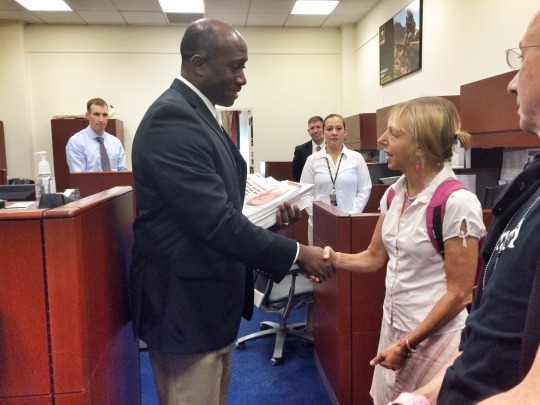 On Saturday, Chelsea called supporters to alert them that military correctional staff denied her access to the prison legal library. This development comes just two days before she must present a defense (without her lawyers present) before the disciplinary board that could sentence her to potentially indefinite solitary confinement.